Web Design Leamington Spa : Public Marketing Communications : How does Google Hummingbird affect my SEO? How does Google Hummingbird affect my SEO? Google has a new search algorithm (the system it uses to search and come back with answers). It’s called Hummingbird, and Google say it will produce better search results. 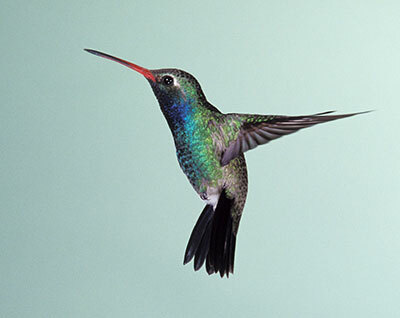 The name “Hummingbird” apparently derives from the fact that the search is precise and fast. It's a dramatic rewrite of the entire algorithm, on a scale which Google say hasn't been seen since 2001. It's been designed to serve the search demands of today, rather than one created for the needs of the early 2000s. The focus has moved away from keywords to the CONVERSATIONAL SEARCH. Hummingbird focuses on the meaning behind the words. It will understand where you are geographically (if you’ve shared that with Google). It will understand that “iPad 2” is a particular type of electronic device sold by certain shops – online and offline. Knowing all these meanings may help Google go beyond just finding pages with matching words. Hummingbird pays more attention to each word in a query, ensuring that the whole query is taken into account, rather than particular words. So - does this mean that SEO is dead? The answer is NO. Google are saying there’s nothing new or different to worry about. Guidance remains the same: have original, high-quality content. SEO tools we've used in the past remain important; Hummingbird just allows Google to process them in new and better ways. How can I make sure that my website gets to – or remains at – the top of search rankings? 1. Provide content that helps people solve problems, or better yet, teaches them something. 2. Make sure that content is useful and high-quality. 3. See if you can edit some of your copy so it's in 'Question and Answer' format. 4. Continue to use links from relevant sources - links from established, reputable online publications. 5. Consider using video content – Google own YouTube and this will help with your ranking. Public are very well experienced in the fields of copywriting, SEO and promo film-making – all of which will be vital if your site is to continue to rank well under Hummingbird. Drop us a line to find out more.